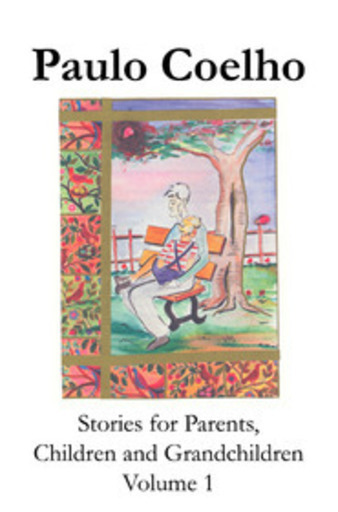 “Stories for Parents, Children and Grandchildren” is a stroll through the universal traditions and legends, lulled by the unforgettable magic words “Once upon a time…” This book by Paulo Coelho contains joyful, amazing and dramatic stories for readers of all ages. Most of them recount traditional legends and tales from many cultures. Included are also stories inspired by the author’s personal experience and episodes from the lives of celebrated names, as means of reflection. 'How often have you seen me practice the noble and ancient sport of archery?' Raman asked him. With his eyes covered by the handkerchief, the yogi Raman placed his feet firmly on the ground, drew back the bowstring with all his might - aiming at the rose placed on one of the branches of the oak tree - and then released the arrow. 'Did I hit it?' said Raman, removing the handkerchief from his eyes. 'May you all be forgotten,' he said. 'In the days when everyone was just, no one paid any attention to people who behaved in an exemplary manner,' replied the abbot. 'Everyone did their best, never thinking that by behaving thus they were doing their duty by their brother. They loved their neighbour because they understood that this was part of life and they were merely obeying a law of nature. They shared their possessions in order not to accumulate more than they could carry, for journeys lasted a whole lifetime. They lived together in freedom, giving and receiving, making no demands on others and blaming no one. That is why their deeds were never spoken of and that is why they left no stories. If only we could achieve the same thing now: to make goodness such an ordinary thing that there would be no need to praise those who practice it. A father was trying to read the newspaper, but his little son kept pestering him. Finally, the father grew tired of this and, tearing a page from the newspaper - one that bore a map of the world - he cut it into several pieces and handed them to his son. 'Has your mother been teaching you geography?' asked his father in astonishment.